Morning ladies, I've got just an hour before I'm going to the in-laws for dinner - not having a kitchen is a really pain in the arse. We had the loss adjuster round from the insurance company yesterday. They will only pay up if it's subsidence and they're trying to wriggle out of it. He said that to check for subsidence, they'd have to take measurements every 3 months for a year... A year without a kitchen?!?! Currently, we have no idea what the hell to do. But anyway, on to more positive things. I got that damn jewellery roll finished in time! It was only after I'd finished it and finished sewing the binding on that I remembered I hate things like this that tie with ties, so inconvenient... why did I do it? BUT, it served its purpose and it's pretty! 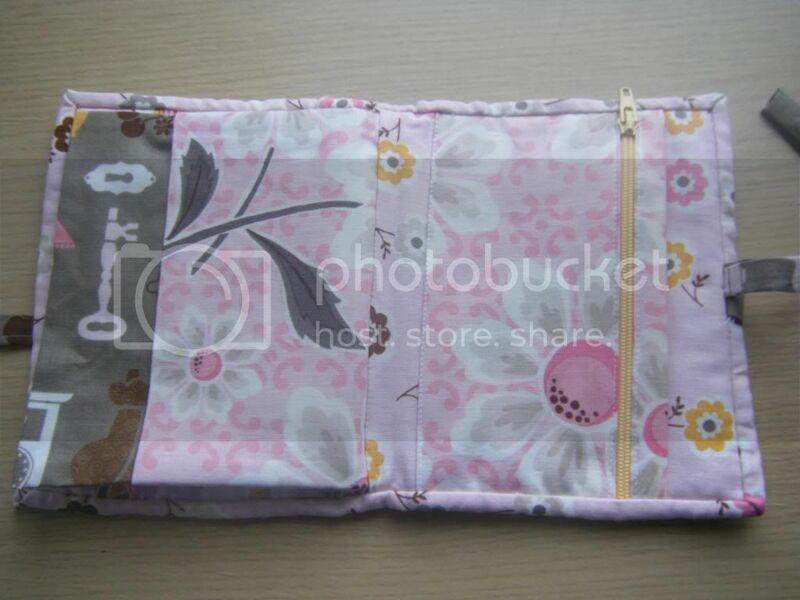 It's an altered version of the jewellery roll in 100 Pretty Little Projects, altered to remove the earring (blurgh) section. 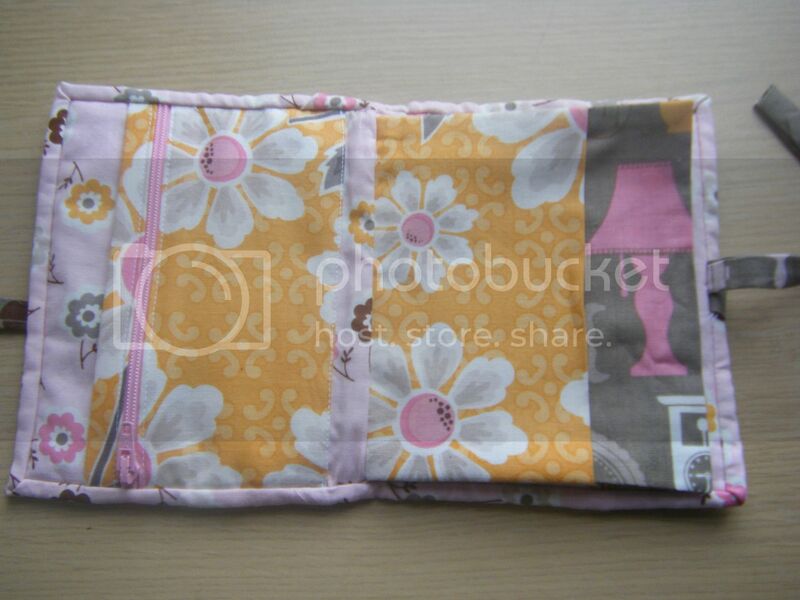 Each side has a zip pocket, behind the zip pocket is another pocket. On the right in this photo you can see the centre flap which has a pocket each side and I used mainly for pinning on brooches. A year without a kitchen sounds like paradise to me. LOLLL I don't like cooking at all. Love your makeup roll. It looks really useful. 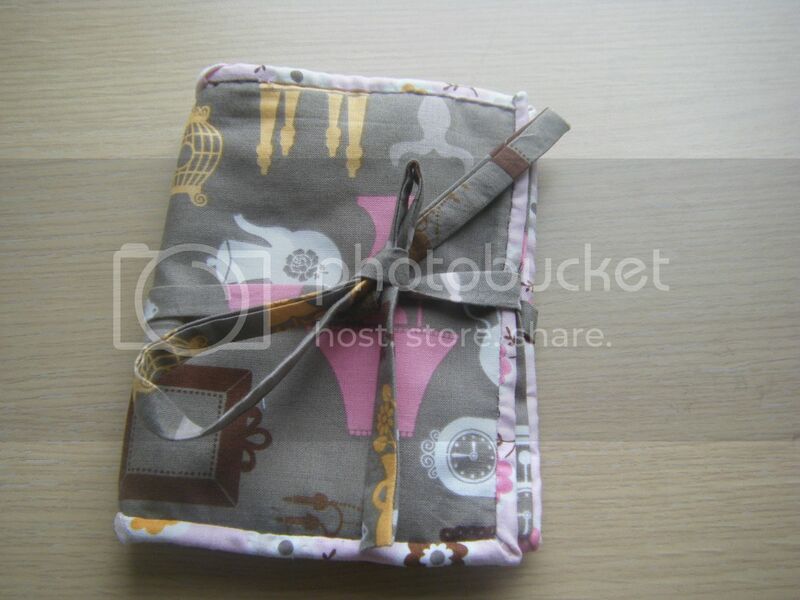 What gorgeous fabric in the jewellery roll, Wendy!!! Love the design too. Good luck with all the kitchen hassles. Nice idea ! Lovely result ! Don't get me started on my insurance company rant. A year w/o a kitchen? Yikes that'd be hard to take, even if you got a mini fridge, microwave and a hot plate for another room. Oh dear insurance companies always seem to try and wriggle out of their obligations. Hope you get it sorted out soon. the fabric is perfect for your finished project. well done. Wow, you are having a great time of it! On one hand - a year without a kitchen sounds like a VERY WELCOME BREAK from cooking and the associated prep/cleaning etc. that comes with it. On the other hand - holy (@#*$&)(@#$*&)@#$ no kitchen??!??!? ARGHH what a thing to have to deal with! I hope you can get this settled - waiting a year for an insurance decision seems beyond ridiculous! You may wait til some of your skin grows back though if you like?